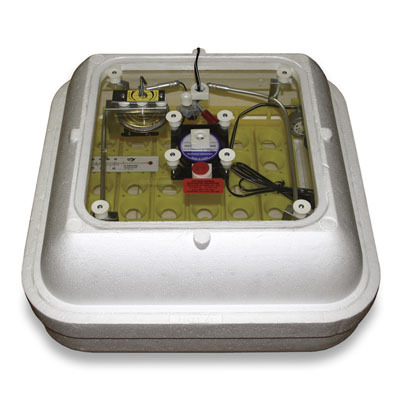 This Picture Window Incubator has a large clear plastic window for best viewing of the incubating and hatching process. The picture window is double plate plastic with air space insulation to help eliminate moisture buildup which can obstruct viewing. 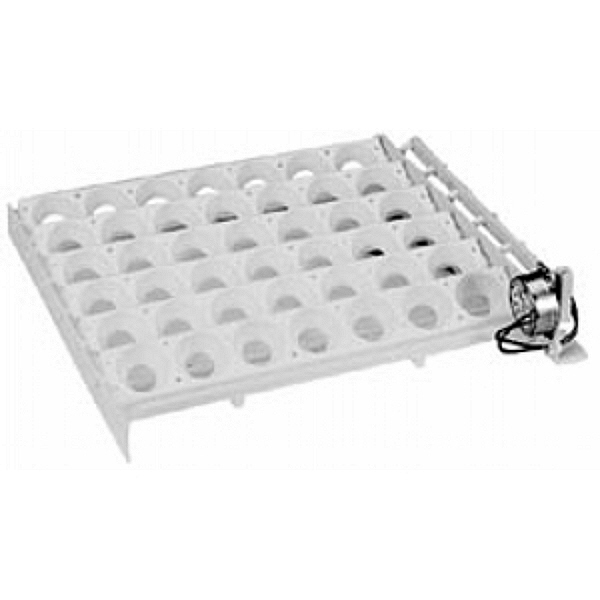 The large viewing area is ideal for classroom work, science projects and group observation of the hatching process. 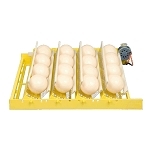 Capacity: Holds 42 large poultry eggs in an automatic turner (sold separately) or 70 chicken eggs without a turner. 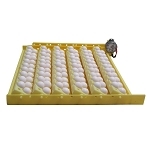 Dimensions: 18" x 18" 7 1/2"
Automatic Turner, Chicken Eggs (#1611) - Complete with 6 egg racks which hold 7 eggs each (42 eggs total) of any sized egg from small partridge to large jumbo chicken eggs. 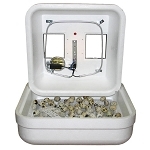 Dimensions: 15" x 15" x 3"
Automatic Turner, Quail Eggs (#1612) - The turner is specifically designed to accommodate the smaller sized quail egg. 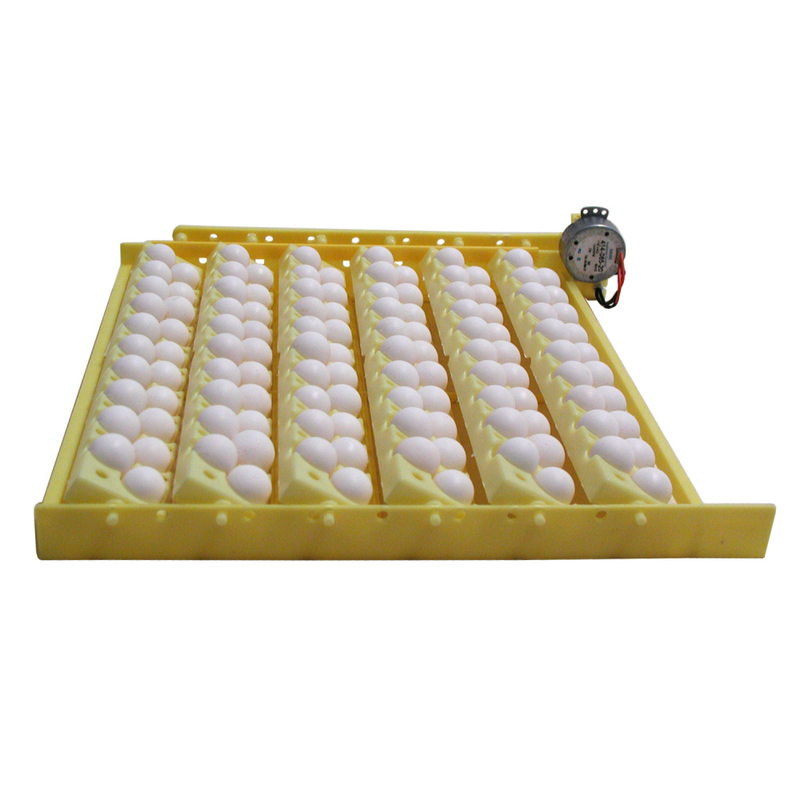 Unit contains 6-racks, capacity 120 quail eggs.